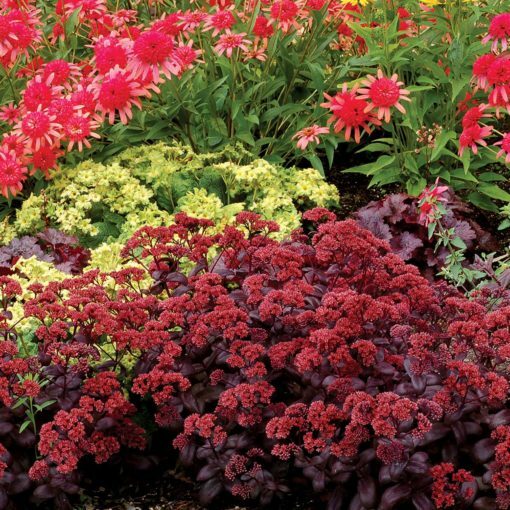 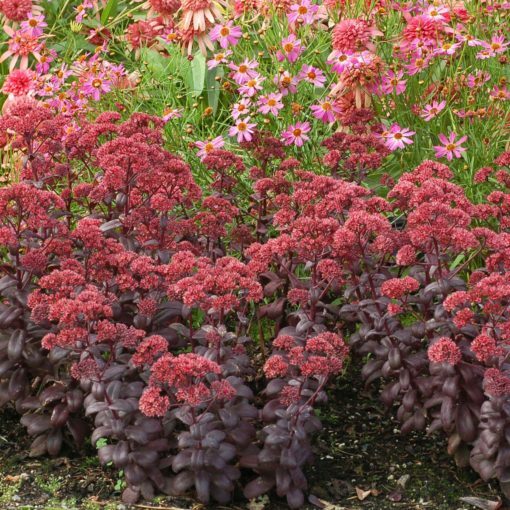 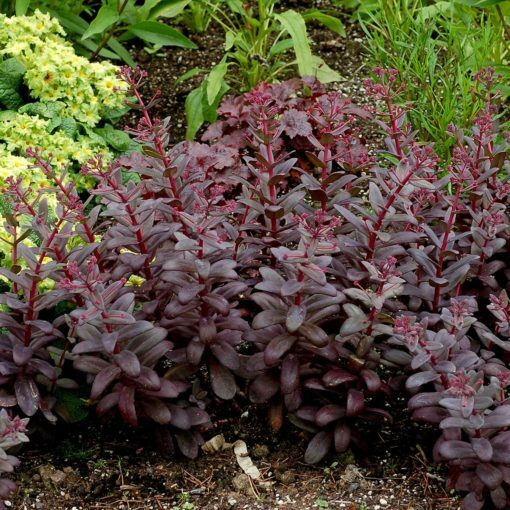 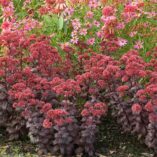 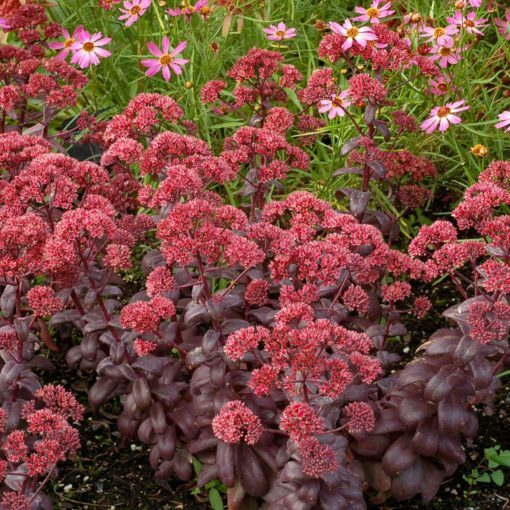 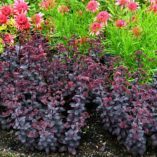 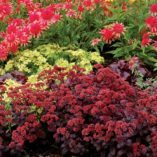 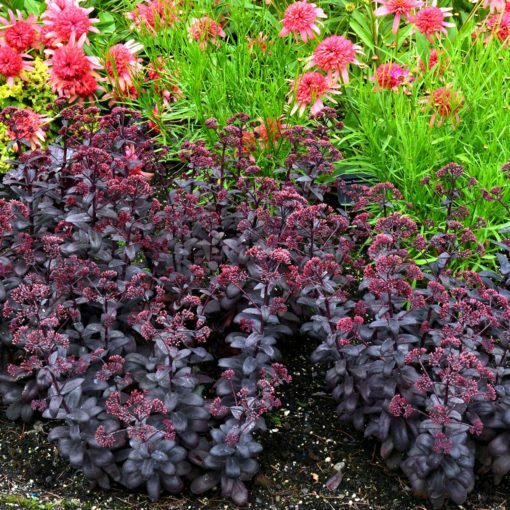 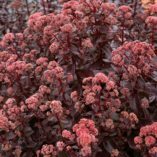 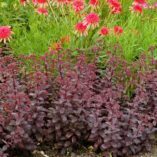 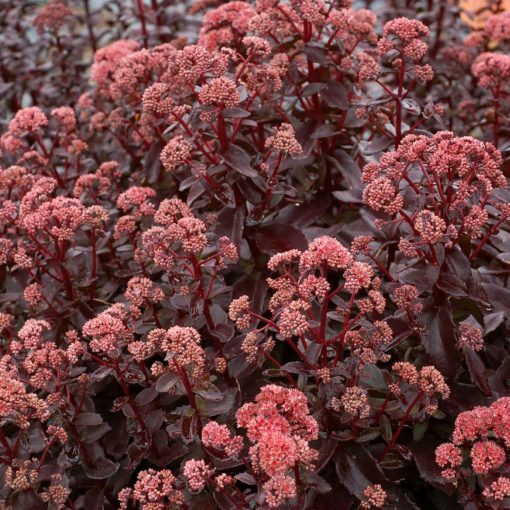 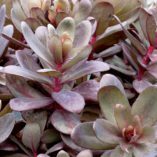 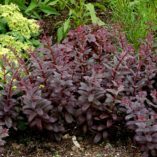 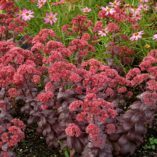 Sedum ‘Desert Black’ | TERRA NOVA® Nurseries, Inc. This plant has it all! Multiple crowns of black leaves and rose-pink flowers on short stems. 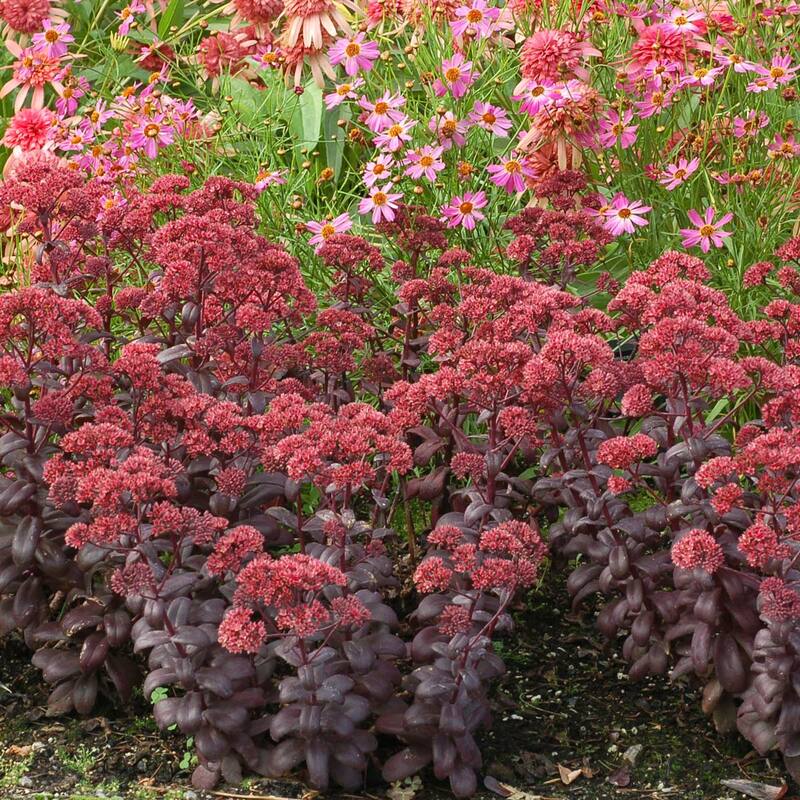 Low mounding habit. 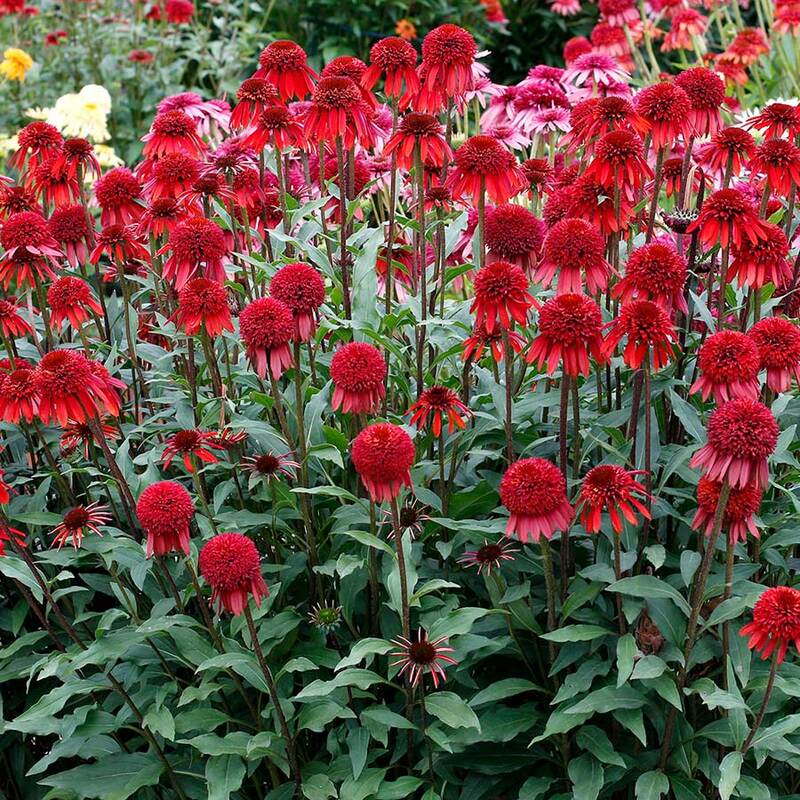 8" / 11" / 9"
Compared to 'Postman's Pride', it has much shorter stems, more vigor, more crowns. 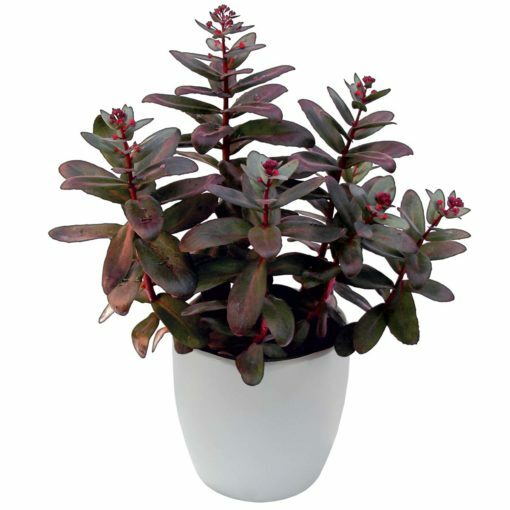 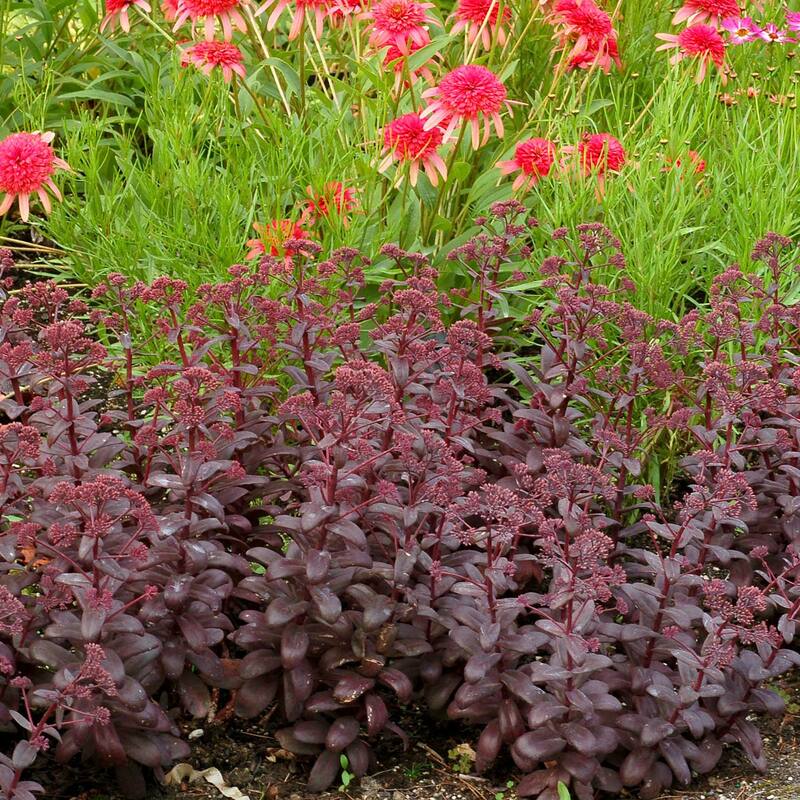 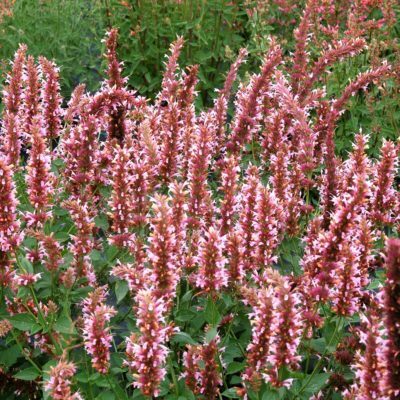 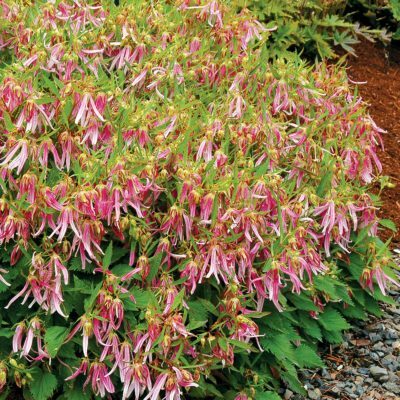 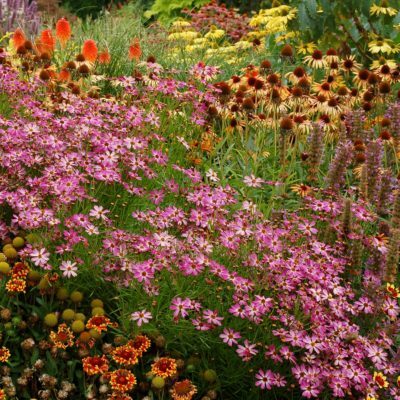 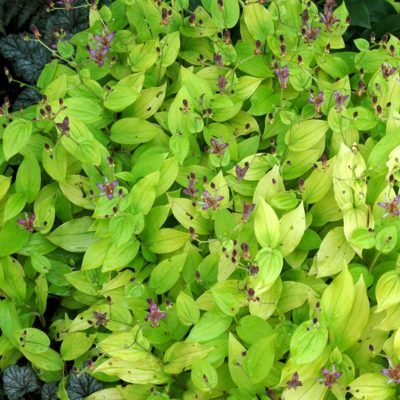 Compared to 'Chocolate Drop', it is a much wider plants with more crowns and it is much darker.